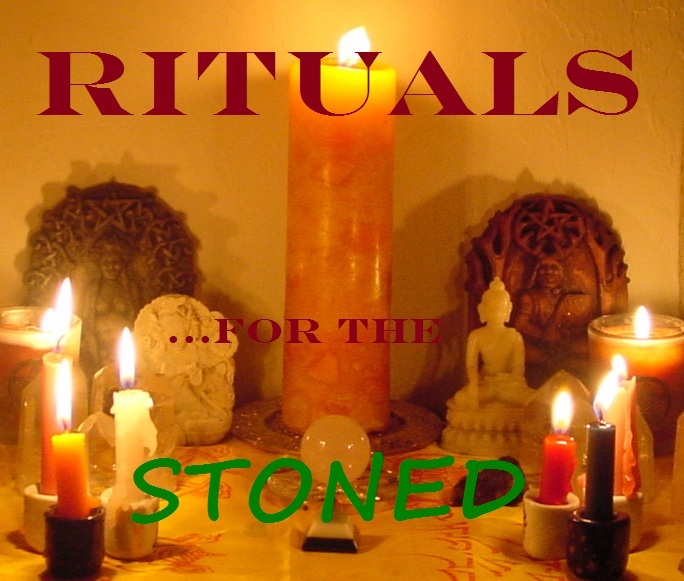 Ritual Room: Compilation: "Rituals for the Stoned: A Stoner Rock Compilation by Psymin"
Compilation: "Rituals for the Stoned: A Stoner Rock Compilation by Psymin"
Anyways, I asked Psymin to create this compilation after talking stoner rock genres with him and feeling like a newcomer to a musical style I've been up on for years about 5 minutes in. So give this a download if you're into this kind of thing - you aren't likely to find anything better... or anyone better to lead you into the genre. So sit back and relax, he knows what he's doing. 6. Lions - Can You Hear Me? DL: "Rituals for the Stoned"
pretty good but i think i prefer this one: http://metalbastard.blogspot.com/2010/07/desert-rock-galore.html". Poop Man, yeah that is a killer desert comp..i just wanted to divert the attention away from the 'mainstream' stoner bands and go with some unknown hard to find ones! haven't heard the Mayor in days...thanx for the visit down memory lane.